Joe Manganiello Tweeted as Deathstroke Last Night At 1 A.M.
Looks like DC’s most ruthless killer likes googling images of himself late at night. At 1:15 a.m., actor Joe Manganiello, who will play Deathstroke opposite Ben Affleck in DC’s next Batman film, tweeted a birthday greeting at Geoff Johns. 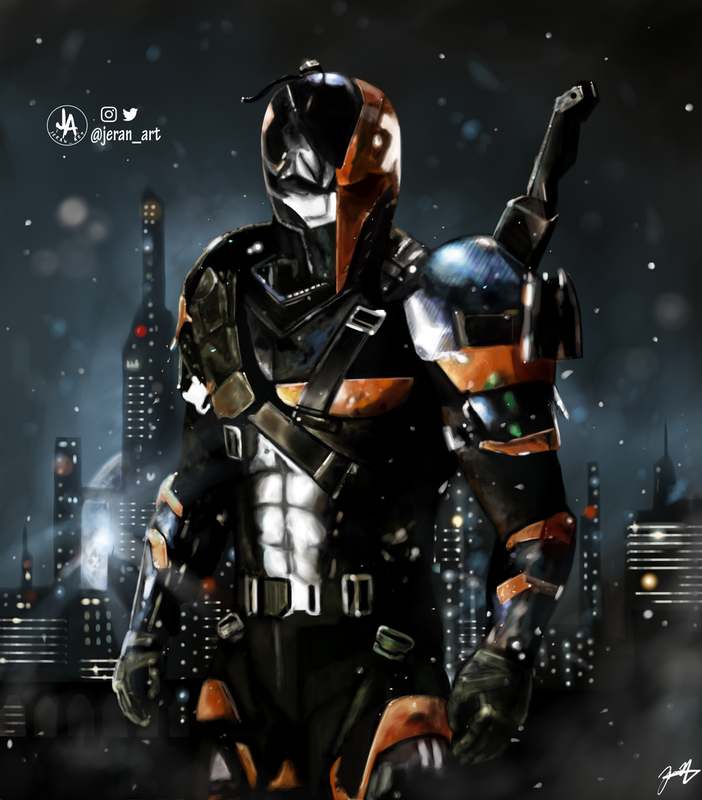 Interestingly, he attached a cropped and blurry version of a DeviantArt digital Deathstroke painting, and he signed the tweet “-D”. The whole thing was equally cute and weird, so let’s unpack. Imagine, if you will, actor Joe Manganiello, who probably hasn’t appeared on the Batman set, excited enough about his role that he searched for, and cropped, an image. Though Ben Affleck has shared test footage of his Deathstroke, it’s unlikely that Manganiello is inside Big D’s mask, especially considering the film’s script isn’t finished yet. Ben Affleck’s Batman solo movie, featuring Deathstroke, does not currently have a release date.